Content Two large bottles of Peach Resin Dizi membrane glue, 4 packs of professional Dizi membranes (top level model DZ-PR-DM01).and 1 case of Beeswax lubricant. Origin of component United States, Italy,Japan and P.R.C. Just add water into the bottle and shake. No more mess! Ratio carefully calculated to provide the best bonding power for placing Dizi membranes. 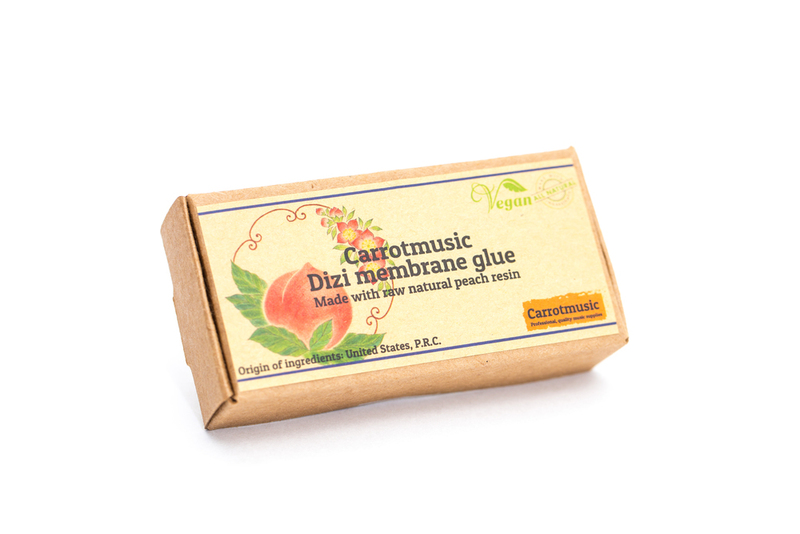 Ejiao and general adhesive glue are usually too 'sticky', resulting in a membrane that stick to the flute but is unable to further adjust after ward, which is extremely important in correcting and improving the tone of Dizis. Our new Beeswax lubricant is designed to prevent metal joints in the flutes from 'getting stuck'! The lubricant is all natural and the beeswax we used is sourced directly from a small chemical free farm in United States. Comes with 4 packs of Dizi professional membranes - our top level Dizi membranes. Excellent value. *2% of the sales will be donated to Rainforest Trust to help protect the world's most threatened species and their ecosystem. *This item is a musical instrument accessory only.Do not ingest or use for other purposes.